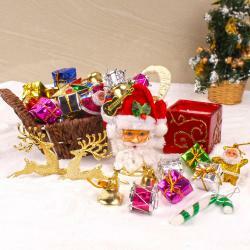 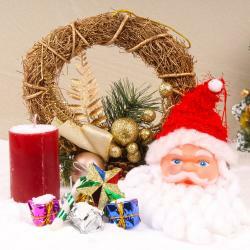 Product Consist : Box of Christmas Tree Decoratives Ornaments along with Santa Claus Face and pair of Reindeer. 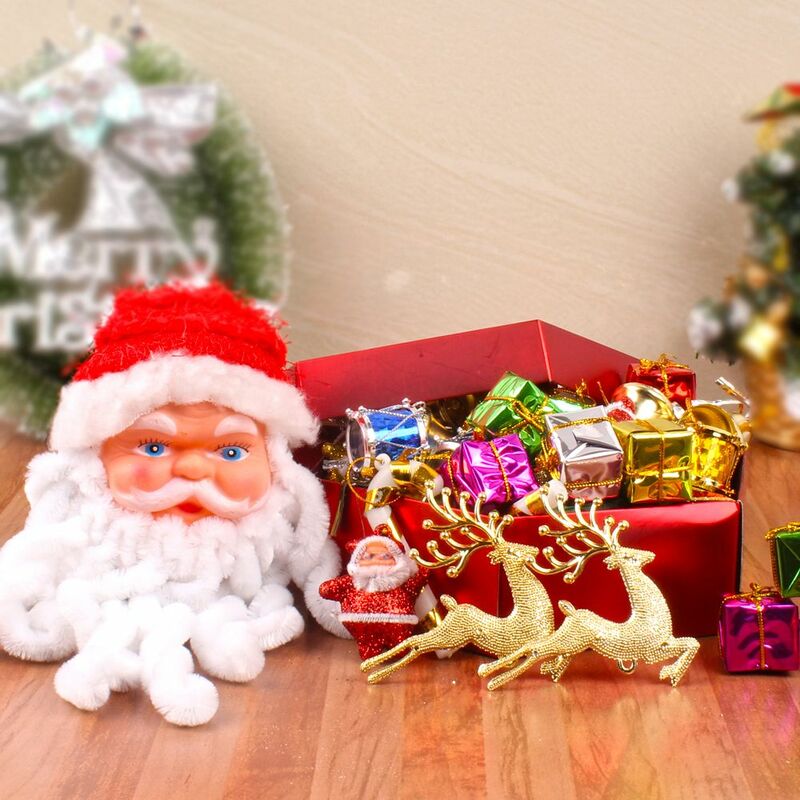 If you want to decorate your home with special Christmas decorative then you are at right place, here Giftacrossindia presenting an exclusive collection of decorative especially for Christmas decoration. 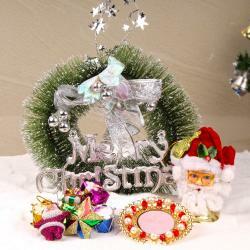 This Hamper is one of the best Christmas decorative hamper which includes designer Christmas tree ornaments and Santa face. 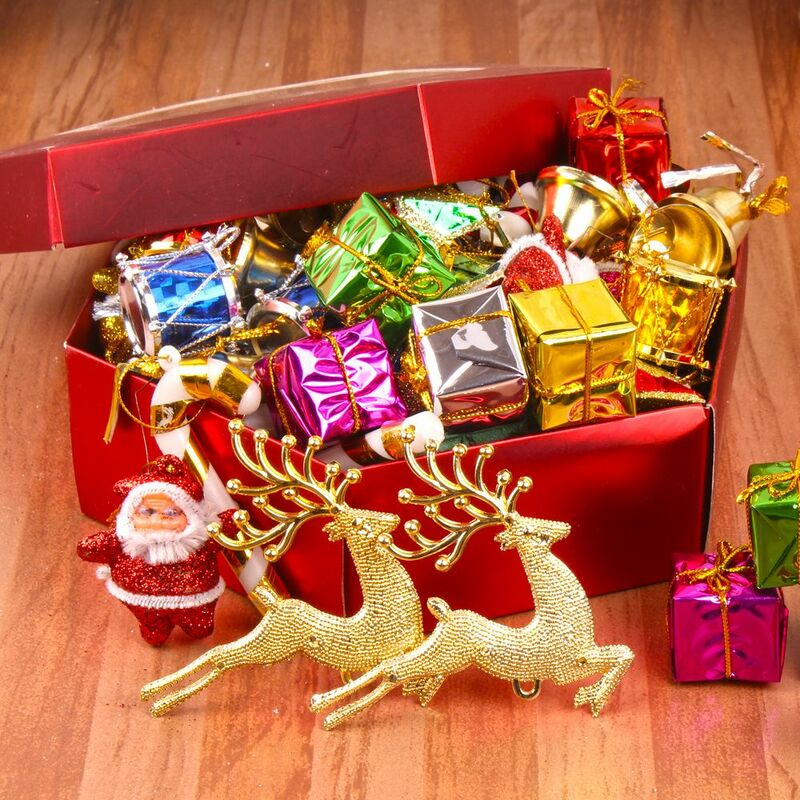 This hamper includes pair of reindeer which is sybole of positive energy and happiness.This is one of the complete decoration combos for your home decor. 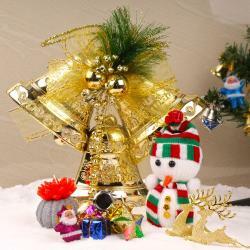 Product Consists : Box of Christmas tree ornaments and Santa Claus face along with pair of Reindeer.